Why not make your next holiday destination Saint Michel le Cloucq in the Vendée ? This small village with an unusual name and an unusual spelling can be found in the heart of this area of France. The Gîte de la Gravée is in Saint Michel le Cloucq which is on the edge of the Mervent-Vouvant forest in southern Vendee, just a few kilometres from the ‘Marais Poitevin’ – the famous Poitevin marshes. 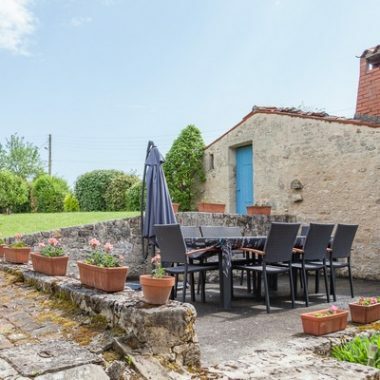 The Gîte de la Gravée can be found in a small road away from the centre of the village overlooking a large garden which is for the sole use of the residents of the Gîte. In a region rich in history and full of tourist areas, we are pleased to be able to offer your holiday home. This beautiful house has been in our family since it belonged to our grand-parents, when it became the Gîte de la Gravée. We wanted to offer a special holiday home with your comfort and well being in mind. With 3 ‘Epis’ (standards – classed by the ‘Federation Nationale des Gîtes de France et du Tourism Vert) and 3 stars from the ‘furnished tourism’ organisation. The gîte is ideally situated within easy reach of the major tourist regions. The most popular are the Marais Poitevin, La Rochelle, the Atlantic coast and the Puy du Fou. There is also Futuroscope, Fort Boyard and the Island of Aix as well as plenty of charming little villages, and those well-kept secrets around this area that we can recommend to you. It will be our pleasure to help you to discover the great places that will make your stay a real pleasure. There are lots of details in the things to do page of the web site. 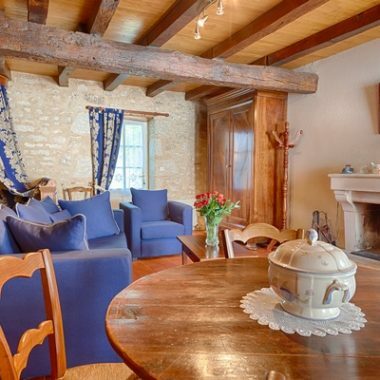 The Gîte de la Gravée is suitable for 4 people, and covers 100m2 of internal floor space. Here, you will find calm and relaxation and within the private garden there are 3 different eating areas. The Gîte de la Gravée is unusual in that it has 3 bedrooms: 2 traditional bedrooms plus a mezzanine bedroom for two children. The Master bedroom is found on the ground floor and has an en-suite. The second double bedroom is on the first floor. The mezzanine, exclusively reserved for children, is also on the first floor. The mezzanine is accessed by a set of stairs that have a security gate. We have made every effort to ensure that your stay is comfortable. This gîte for 4 people can be used to suit your personal requirements choosing the sleeping arrangements that suit you best. Let’s not forget baby! We are happy to supply a travel cot and high chair on request. A second bathroom, a laundry room, a kitchen and a large lounge complete the cottage. A large private garden will delight both old and young and there are different areas to choose from for your ‘al fresco’ meals. The Gîte de la Gravée is ideally situated near to the Marais Poitevin and not far from Puy Du Fou and La Rochelle. Free Wifi is available throughout the property and in the garden areas close to the cottage. For your comfort there are 2 bathrooms and 2 toilets. 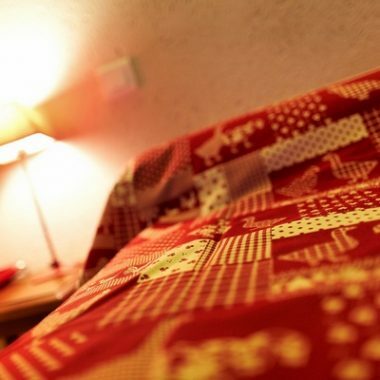 All linen is provided including tea towels, towels, and bed linen. The beds are freshly made prior to your arrival. You can contact the owner directly. We offer online reservation and payment to make things easy for you.